Tour operator Thomas Cook has peered into its crystal ball of travel and foreseen which destinations will be in demand this Easter. 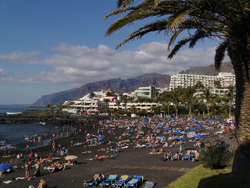 Tenerife, South Africa and Thailand were all on the tour operator’s hit list while traditional city break destinations, such as Paris and Rome, were also tipped as likely favourites. A spokesperson for the organisation said: “Disneyland Paris is also a key choice especially with Eurostar’s recent move to St Pancras making it more accessible throughout the UK. She added that locations such as Tenerife, Gran Canaria and Lanzarote are popular retreats at Easter as they have “something for everyone”.